When opening a new restaurant, the potential seating layouts available might seem endless, with each option looking better than the last possible combination. 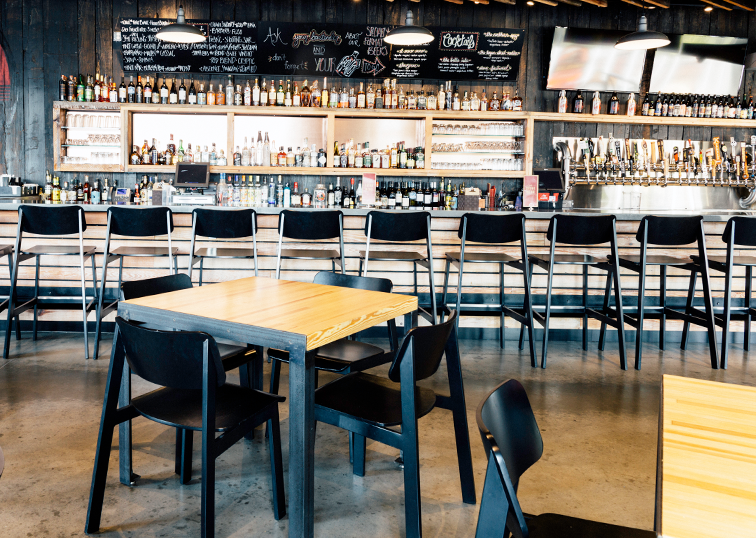 But how do you know you are creating a restaurant furniture plan that best meets your design goals as well as serving as a practical layout for your staff to maneuver? We’re here to help with some useful tips for creating the right plan for your restaurant chairs and tables. Ask yourself, what do you want your space to do for your guests? Then, make a list. These priorities help to identify what your business will need from your spaces so you can plan them out accordingly. For example, will you have a dance area or a buffet space? Do you want soft seating for chatting? A more private space for special events? Your list of spacing goals will ensure your space planning will account for every aspect of the restaurant. Measure your square footage, so you know how much room you have to work with. Then, reference the list you made of what defined areas you want within that space. Make a few rough sketches of the possible combinations of furniture. Play around with it a bit; you might be surprised at the possibilities you can create by moving a few things around. Now that you know the sizes you are working with, the real fun can begin! 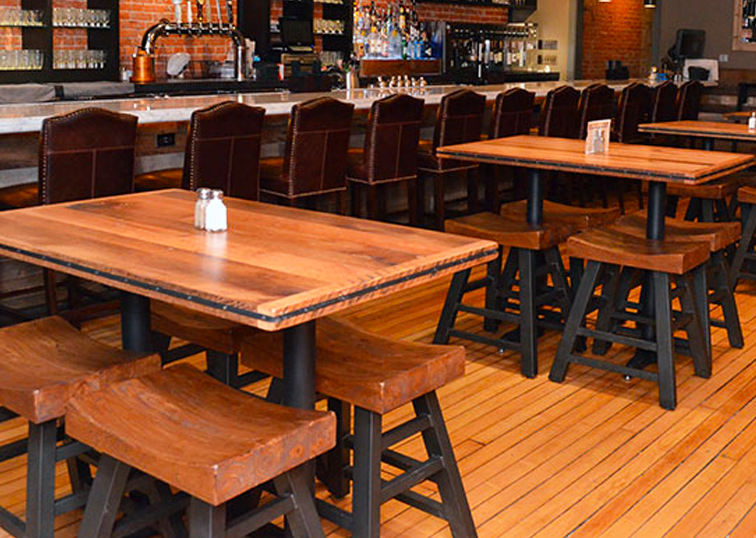 You are ready to pick out the restaurant furniture that fits the needs of the design. When making selections, remember the tables and chairs need to partner well with the vision and style of your brand. So whether you select the Dylan paired with Harper, or Brady with Reece, keep the goals and culture you want in your space at the forefront. 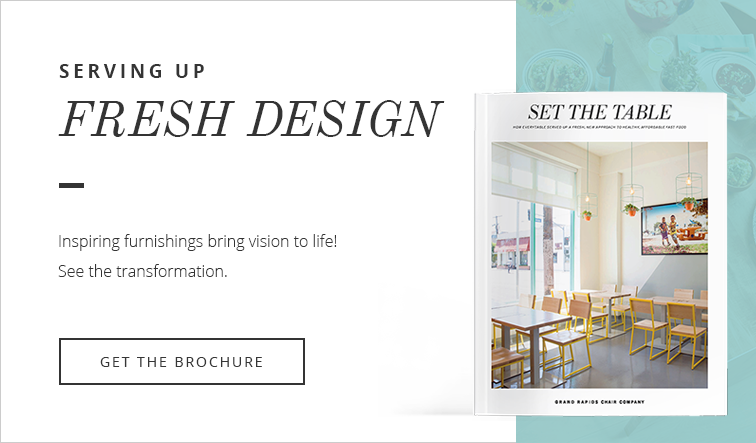 These tips are a great place to start, but laying out the design for your particular restaurant will take lots of time and consideration. Challenge yourself and your design team to expand your thoughts so you can create a restaurant area that exceeds the expectations of all who enter.